In a sport based on individual performance, managers are one of the most important aspects to fighters that don’t get talked about nearly enough. While not every fighter needs a manager, those that find themselves at the top of the sport can likely be found with a great manager and agency behind them. One of the leading agencies in all of sports, especially combat sports, is First Round Management (FRM). FRM is led by brothers Malki and Abraham Kawa, but they weren’t born into the business. 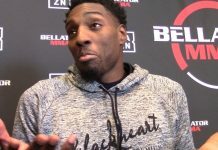 During an exclusive interview with BJPenn.com, Abraham discusses how their agency came together with the guidance of his older brother, and how they balance having clients in MMA and NFL. While business is business, brotherhood is brotherhood for Abe and that bond developed by him and his brother is what led to the beginning of their management journey. Like many who search for their dream job, Kawa didn’t just jump into management, it started out with a job that he found wasn’t what he wanted to do. “I’ve always followed my brother in every type of business he’s been in,” Abe shared. “At 18, I got my first job at a finance company because he was at a finance company. We were doing mortgages and real estate, and we ended up our own real estate office. That was in 2001 when we opened it up and we were great until the crash came. Seven years after they started up their own business, the Kawa brothers lost their father, and that’s when everything took a bad turn and Abe knew that changes had to happen. “He told me he was going to do this sports thing. Growing up in the glory days of the Miami Hurricanes that’s where we drew our love and inspiration from for sports and specifically football. Being right next to Miami, it was easy for us to get into it. While he started doing that, I was working another job staying out of sports. Dedicating his life to a passion of his and being alongside his brother wasn’t perfect and came with plenty of learning lessons for the younger Kawa, but he now found himself doing what he loved full-time. As his brother continued to focus on the NFL, Abe decided to take the reigns for the MMA side of their business and in doing so, the two brothers have found a balance that works between them both and has found them great success. “At the start of 2019 and this goes back for a few years, my brother was heavily involved in MMA but he was grooming me and preparing me, making sure I was on top of everything,” Abe explained. “My brother’s my rock and anything I need, he’s great for it. He really wanted to do NFL and he kind of moved his way there. So the way we balance it is, he takes care of NFL and I take care of MMA but if we need each other for any reason, we’re there. I’ve been able to kind of make my own mark here in the combat sports world. The success of First Round Management didn’t start by the Kawa brothers waking up and having it handed to them. Over years of jobs that they truly didn’t want but found success in, they’ve been able to branch into a line of work that follows their passion for both football and martial arts, and that passion has led them to plenty of success. While there are only a few marquee agencies in MMA, Abe Kawa doesn’t look to be ‘better than the rest’ and doesn’t see a need to worry about other agencies or managers who are in the same field. For First Round Management, their priority focus is lining up the absolute best services and opportunities for their fighters. 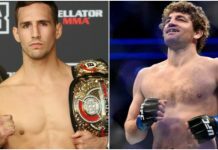 FRM was part of the first-ever ‘trade’ in MMA which saw former UFC flyweight champion Demetrious Johnson have his rights traded to ONE Championship in exchange for undefeated welterweight Ben Askren. In making this process happen, Abe Kawa says his brother Malki was instrumental to it all. 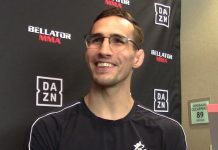 With several promotions to place fighters in, Kawa believes that having more opportunities for his fighters is even better for business rather than just focus on putting everyone in the UFC. “In anything, a free market means it’s better for the consumer,” Abe said. “If you’re a viewer of MMA, you want as many organizations to rise up as possible. On the business side of it, it can only help. If a fighter is expected to make a certain amount with one promotion but another pays even more for that fighter then it’s not bad for anyone. 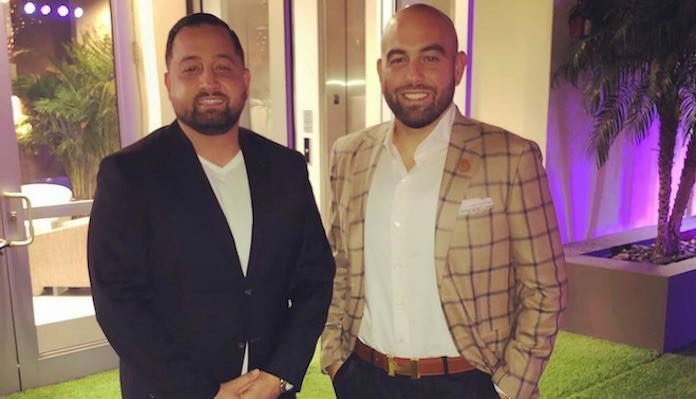 Whether it’s getting endorsement deals for fighters, leading other fighters to greater career opportunities, or even preparing upcoming NFL clients for the NFL Draft, the Kawa brothers invest their everything to all of their clients. As the wave of popularity for MMA continues to rise, more fighters will find themselves with more than just a fight contract, and it’ll all continue out to what should be seen as great business. When it comes to great business, Abe Kawa, influenced, taught, and inspired by his brother Malki, has led the two to become two of the very best in business. While there are some siblings that can’t stand each other, these brothers in business continue to strive for greatness in their field, and it’s only leading to good things for their agency and their clients as a whole.